If you want an easy upgrade to furniture use chalk paint. Chalk paint requires little prep and you can end your project with an antique, rustic look or solid look. Clean your project. No matter what paint you use you will need to clean, paint simply will not stick to dirt. Use a lint-free cloth and any household cleaner. If it’s a kitchen piece you may want to use a degreaser, I’m a big fan of Goo Gone. Right now I am painting a kitchen table. Paint a total of three coats. Apply one coat, wait until it dries and then add the next coat. It does not take long for chalk paint to dry, this is a quicker process than painting with latex. Sand lightly in between each coat to smooth down any streaks or bumps. Sand the corners or the edges to any detail bringing through the wood. You can use a glaze or stain if you want to antique the corners. Wax the whole piece. I use a lint-free cloth to wipe on the wax and a clean cloth to buff it. Ta-da! Enjoy your new piece of furniture. 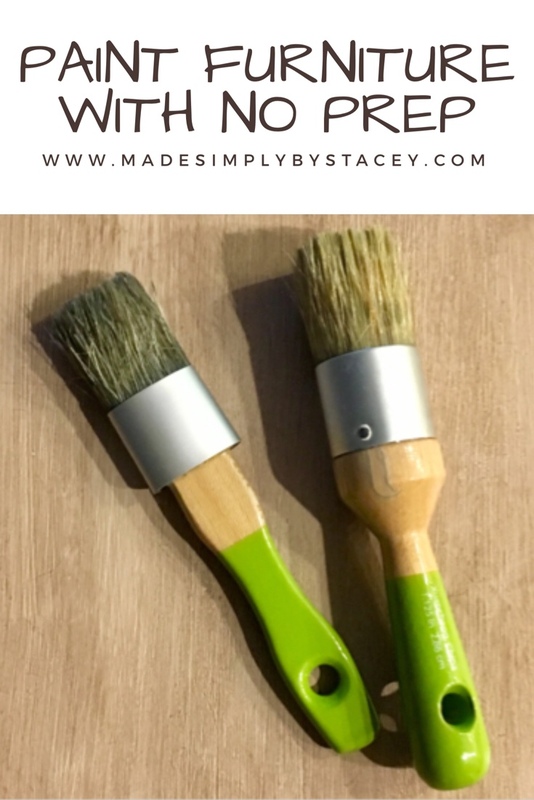 Coming soon; How to fake the stained wood look with chalk paint. Do you want to be notified? Subscribe. My blog contains affiliate links. If you make a purchase through these links at no extra cost to you, I can make a small commission. I am grateful for your support. My blog is a hobby, this helps me with costs associated with my blog. I found a lot of my project materials from Amazon and because I am a Prime member, I get my supplies in as little as two days. Do you need a website, I recommend using SiteGround to get you started. To see some more of my furniture makeovers click here.